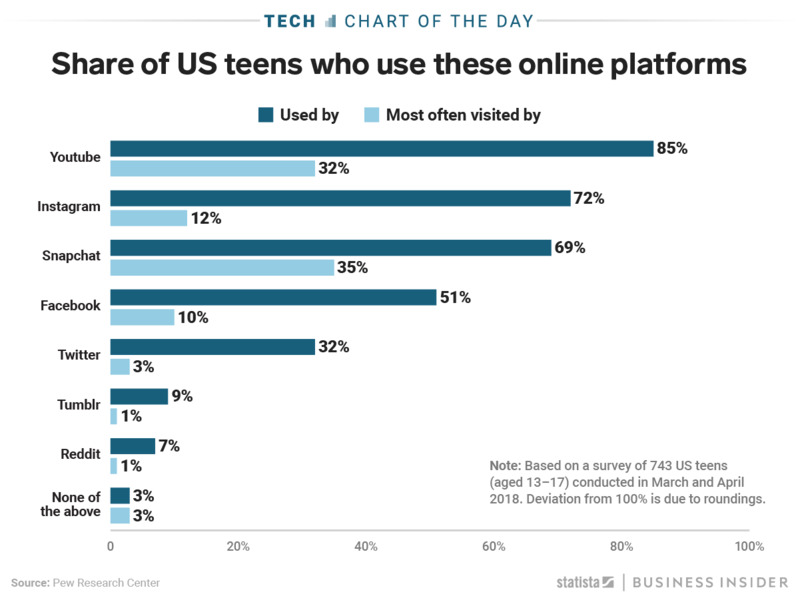 In the last few years alone, Facebook has gone from being the favourite social media platform among American teenagers to not even breaking the top three. The social media giant has been replaced in first place by longtime competitor YouTube, according to the latest study from the Pew Research Center. 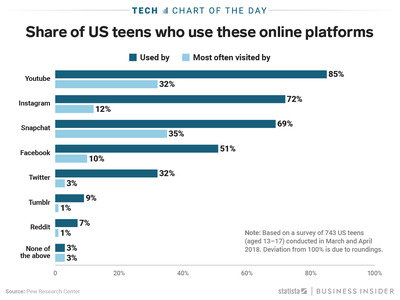 In fact, YouTube’s share of 13- to 17-year olds who use online platforms exceeds what Facebook’s was when it was on top the last time Pew conducted this study in 2015. Three years later, Facebook’s share of the teen market has gone down from 71% to roughly half. And YouTube – which didn’t even have a spot on the 2015 chart – has secured itself a reasonable claim to being the most popular.